best friend, aunt & creative designer. I LOVE creating! "Great design. Exactly what we were after. Designer had real understanding of our requirements." 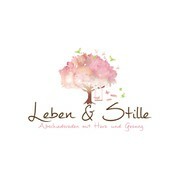 "I am very happy with my new logo! Nickielin was very co operative with making any amendments that I requested. I felt her design had an artistic flare that lent itself well to my type of business. Highly recommended as a designer for logos. 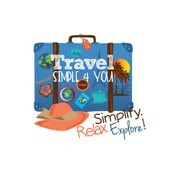 If I have ot..."
"Very helpful in creating the perfect logo. Provided many different options and listened to me with the changes I wanted. " "Great feedback and attention to detail and my needs. " "We loved the design from the first sight. The colors, the fox, the little details, just amazing! " "She did an amazing job and it was everything I thought I wanted. She is easy to work with and responded quickly. Highly recommend. " "Great to work with. she listen to what I wanted and she delivered! I'll be working with her again in the future. " "Went above and beyond and met every expectation I had. Getting my vision and what I had in mind was very difficult and the designer worked extra hard to make my vision come to life some ideas did not work but the artist made the corrections and we colab..."
"This lady was fabulous!! She was interested enough to find out about my business & what we were like! Never complained about the many changes I asked for, she was prompt, caring, & intuitive to what I wanted. 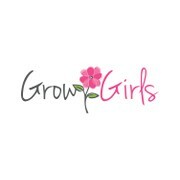 My first experience at a logo design and s..."
"My design was a logo and tagline for a mentoring program. Nickie was excellent, listened, provided input, and made multiple revisions until it was perfect. I would highly recommend her!" "Thanks a lot. 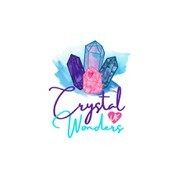 You made all my wishes come true and had that very special intuition for what I really wanted :-)"
"Nickie has done a great job in designing the logo for our company and her design defines really well of our company's nature. Also, she has been really patient and helpful when it comes to changing details of the logo. Love her work!" 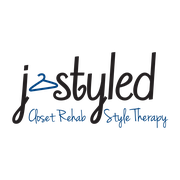 "I had so many logo designs submitted but when I saw this one, I felt in love with it. Thank you Nickie. You really understood the concept." "we have been so impressed with nickie's work ethic, service and designs. she has gone absolutely above and beyond for us and our brand. She has been so easy to deal with and we hope to work with her long into the future. once again thankyou so much nick..."
"Nickielin is an awesome designer!" "Our designer took our scrabbled ideas and visions and turned it into a perfect logo for our company. We were beyond pleased with how she took every piece of feedback and brought it to life. A++ for Nickielin "
"Nickielin was an absolute pleasure to work with. She was responsive and patient at the same time. I really appreciate how charismatic and professional she is. No one wants to work with someone they don't connect with, art does that to people and thats w..."
"Nickielin by far surpassed my expectations. Regardless of my unlimited request, she promptly responded quickly. Thank you 99d for the opportunity to meet someone so talented and humble. " "Nickie gave me exactly what I asked for, and saw my vision. I love her work and can't wait to work with her again! Thank you soooo much for listening and making my logo come to reality! You made my first time experience a good one!" "I'm so happy and grateful for my beautiful logos! They're exactly what I imagined them to be. 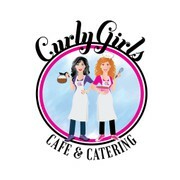 Nickie was so easy to work with and she understood exactly what I was trying to create in a logo. It's captured my product and target audience perfectly. Nicki..."
"Nicole integrated everything I asked for and was easy to work with. Her work is beautiful and she is very responsive to feedback. I would definitely work with her again!" "nickielin went above and beyond, showing interest in my contest late in the contest and working with me on a Friday evening after a long day to create the exact Logo for me. I immediately felt her dedication to my project and felt her commitment to und..."
"Nickielin was amazing. Her customer service skills were top notch. I had many request and she was always accommodating and enthusiastic. She made this very enjoyable. She's a star with great talent." "so in touch with me through the whole process. working really close and reacting so fast to a all my questions. she has such a good style in designing and she is a so nice and lovely person. definitely i will work with nicki again!" "Nickielin has been great to work with, really payed attention to the brief and listened to my feedback. I got a lot of options with the logo and files, for every aspect of the business. Highly recommended "
"She was amazing and easy to work with... took all my advice and criticism and worked professionally. " "Working with nickelin was awesome! Going into the contest, I didn't really have a clear idea for my logo. Her creativity helped me to see my brand develop and her quick response to my changes was both appreciated and commendable! I would totally recomme..."
"Nickie was an absolute joy to work with!! She was professional and responded quickly to my request. She also listened to what I wanted and over the net sometimes that can be hard to convey . But she NAILED IT!!' I look forward to working with her again!!!" 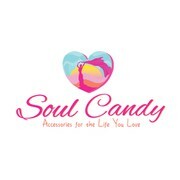 "NLR Creative Designs did an AMAZING, OUSTANDING job on creating the exact logo I wanted!! 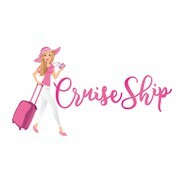 I had the designer make alot of major and minor adjustments on the logo over the past 7 days and she was willing to edit every single request, quickly and effici..."
"Working with NLR Creative Designs was a pleasure. I had many requests and revision to my designs and they were handled quickly and professionally. Very creative team! I will use NLR again!" "Nickie has been wonderful to work with! I am so happy with me design! Thank you!" "This was my first time holding a design contest. Nicole was very very helpful throughout the whole process. The feedback I gave was taken by her and promptly put into my design as requested. Then I would tweak some more, knowing that ' I'd know it wh..."
"Words can not describe how impressed I am with the creative flair, personal touches, meaningful and guiding communications, thoughtful and relevant ideas and overall 'WOW!' that is NLR Creative Designs. 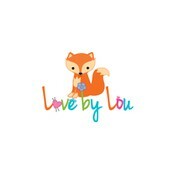 From the very start, Nickie took on board the natu..."
"Nicole did such an amazing job on my company logo. She brought the idea that I had in my head to life and I am so grateful. She was extremely pleasant and wonderful to work with through the entire process. Her creativity is apparent and I don't regret f..."
"Nickie was so incredible to work with!! Always responsive, always friendly, always beautiful designs! 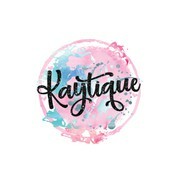 She went above and beyond to help me create my perfect logo and I could not be happier! Thanks Nickie! :-) "
"This was my first time working with 99designs and I'm so happy I did! I found an AMAZING designer! (NLR Creative) She worked with me and gave me EXACTLY what I wanted! So excited to continue to work with her on all of my upcoming projects! Thank You! 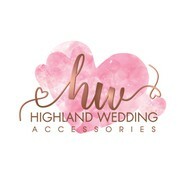 Th..."
"I am so pleased with the logo that Nickie created. She made this whole experience so much fun for my daughter. Nickie has been so accommodating through out the whole process and so quick to respond with ideas and changes. We are so excited to see the f..."
"I'm overjoyed, it's been a great experience having you help me create my vision for a logo. a round of applause for a job well done! Thank You, Nanci Iuculano: Designer Divas Resale Boutique. Naples, Fl. " "NLR Creative Designs was a pleasure to work with! She brought a fresh eye to the design process. 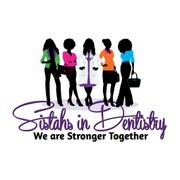 She was very personable & open to any & all opinions/suggestions to get the logo JUST RIGHT. I am so thankful for her! I absolutely LOVE the logo! Thanks!" "I loved working with NLR Creative! She was very generous with her revisions, and so I got exactly what I wanted. She has a great eye and was able to quickly help me find the colors and fonts that fit my image. I was also impressed with her shortened ..."
"I can not say enough words to explain how easy it was to work with NLR. This designer's attention to comments, requests, and asks throughout the design process made my experience seamless. I highly recommend working with NLR!! Thanks again for everyt..."
"Nickie was so easy to work with right from the start. Her communication was so good which made it a lot easier for me and she listened to any changes I wanted and went above and beyond my expectations. Her style of designing just clicked with me from he..."
"Pleasure to deal with. Nickie is a fantastic designer, she over delivered and exceeded my expectations. I would absolutely use her again. Thank you so much for creating my logo 'Baby Captured'. I love it! Xoxo"
"Nickie is amazing. She continuously exceeded my expectations, each design was better than the previous one. She is very responsive to feedback, and an overall pleasure to work with. Thanks again!" 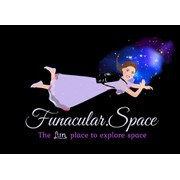 "Looks amazing we are in the process of switching all of our ads and promotional items to this awesome new logo. Could not be more pleased with the process and how accommodating NickieLin was!! " "What a fantastic experience. Nickie is an exceptional designer, great communication and very quick with changes. 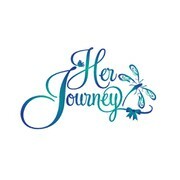 I am so thrilled with my new logo it is beautiful. Highly recommended, thank you so much." "My first time using 99Designs and at first I was concerned. It seemed like I was getting very amateurish submissions. I saw "nickeling" show up as a "Watcher" on my contest and upon viewing her Folio, my jaw dropped with her professionalism and talent. 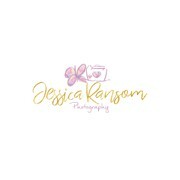 ..."
"Nickie did an amazing job on my logo! She was able to translate my ideas into exactly what I wanted." "Absolutely gorgeous designs from a fantastic designer! Thank you so much Nickie. You've been an absolute pleasure to work with. x"
"Nickie is a great designer I was even more impressed with the hand over process after the design was finished. 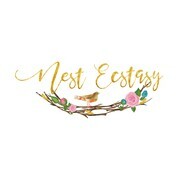 She made sure I had all the files I needed and even gave the same design in different colors and different formats so I have everything I coul..."
"Awesome design, fast responses, pleasure to deal with. Would HIGHLY recommend. " "A big thank you to Nicole! I am so happy and excited about my new logo. You have an eye for creativity, colours and attention to detail and it definitely shows in your work. You have been awesome to correspond with and very patient with me. Your work is..."
"I had looked at many of the designers "watching' my contest and I invited Nickie to join because I saw she did some great work. She did not dissapoint me. She took from what we said we were looking for, and she made it come alive. The process after was ..."
"I am so happy to have worked with Nickie during this design process. While all of the designers had great ideas, Nickie was the one who captured the exact mood, feel, and image I wanted for my company. This design is more than anything I could have imag..."
"Nickie was wonderful! Intuitive and wonderfully creative, she added small details that personalized my logo in a way that was unexpected and truly set her apart. 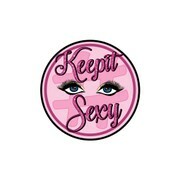 I love my new logo!" 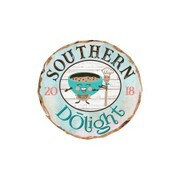 "We love our new logo! 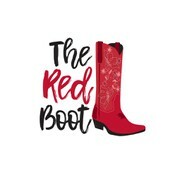 Nickie is very creative and took our vision for our new company and created the perfect design that portrays just who we are." "Great design. Excellent communication and very cooperative with edits. A true pleasure to work with!" "NIckie Lin we couldn't be happier with the design you came up with for our children's foundation. You never tired of tweaking things until we got exactly what we were looking for. Thank you for being so responsive, easy to work with and so creative! " 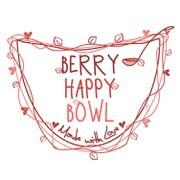 "I didn’t know what I was looking for in a logo when I invited Nickie Lin Design’s to participate in my logo contest. 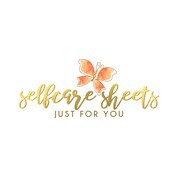 I really liked her work but didn’t know how it would fit into my business logo. She surprised me by providing me some great options. ..."
"It was a pleasure working with Nickie Lin Designs. She competed against 36 other designers and prevailed. We've had our business for 5 years and never received as nice design from anyone." "Working with Nickie was an absolute delight. She was professional, prompt and eager to fulfill my requests. Not only did she put in a lot of effort and creativity, she was also very easy to communicate with. 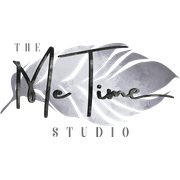 I am so pleased with my new logo. At no point..."
"Nicole, you have done an incredible job with our logo. Your willingness to make continual tweeks and your creativity has created a winning logo for my company that will be sure to last for many years. Thank you for going the extra mile by placing this l..."
"Nickie really listened and provided me with a beautiful, flexible logo branding. "